None of MPs’ eight proposed Brexit options have secured clear backing in a series of votes in the Commons. The options – which included a customs union with the EU and a referendum on any deal – were supposed to help find a consensus over how to leave the EU. Brexit Secretary Stephen Barclay said the results strengthened ministers’ view their deal was “the best option”. The prime minister told a meeting of Tory MPs she would leave office earlier than planned if it guaranteed Parliament’s backing for her withdrawal agreement with the EU. 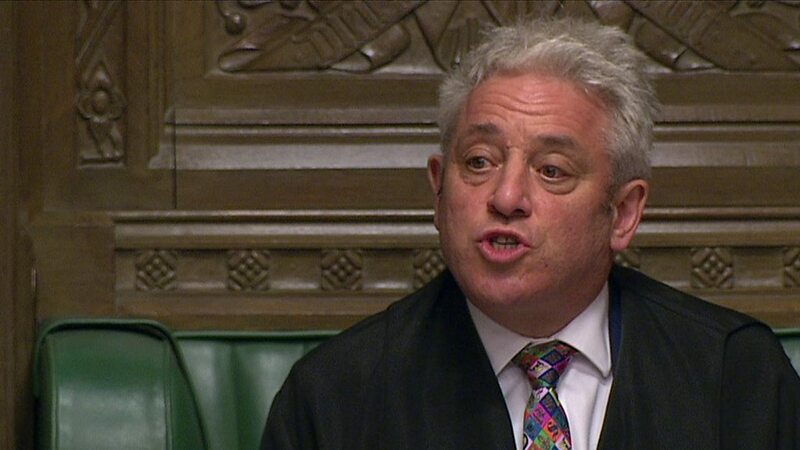 MPs hoped Wednesday’s unprecedented series of “indicative votes” would help break the parliamentary deadlock over Brexit. The failure to identify a clear way forward led to angry exchanges in the Commons with critics of the process saying it had been “an abject failure”. The proposal which came closest to commanding majority support was a cross-party plan – tabled by former Conservative chancellor Ken Clarke – for the whole of the UK to join a new customs union with the EU to ensure tariff-free trade after the UK’s exit. All Conservative MPs – excluding cabinet ministers – were given a free vote, meaning they were not ordered to vote in a certain way. Labour’s own alternative plan for Brexit – including “close alignment” with the single market and protections for workers’ rights – was defeated by 307 votes to 237. Five other propositions – including backing for a no-deal exit, the so-called Common Market 2.0 plan, a separate proposal to remain in the European Economic Area and one to stop the Brexit process by revoking Article 50 – all failed to secure the backing of a majority of MPs. Brexiteer Mark Francois said “this attempt to seize the order paper” by MPs had failed and the public would be looking on “with amazement”. But Conservative MP Sir Oliver Letwin, who oversaw the unprecedented process of indicative votes, said the lack of a majority for any proposition was “disappointing”. While he said he believed MPs should be allowed to have another go at reaching a consensus on Monday, he said this would not be needed if the PM’s deal was approved before then. Independent Group MP Anna Soubry said more people had voted for the idea of another referendum than voted for Mrs May’s deal on the two times it had been put to Parliament. And Labour MP Dame Margaret Beckett, who put forward the motion for a confirmatory referendum, said the objective had not been to identify a single proposition at this stage but to get a sense of where a compromise may lie by, in her words, “letting a thousand flowers bloom”. Mr Barclay appealed to MPs to back the PM’s deal “in the national interest” when it returns to the House for a third time – which could happen as soon as Friday. “And it demonstrates there are no easy options here. There is no simple way forward. The deal the government has negotiated is a compromise…That is the nature of complex negotiations.